Each Wednesday, the Wellness Committee posts a tip on the DIS PTA Facebook page geared toward parents and families. We also provide Mrs. Brown with a related tip for the students’ morning announcements. Below we list these tips or information on the topic covered. As our kids get older and are faced with more opportunities to choose their own snacks and meals, knowledge and sharing of information is key. While there is no one-size-fits-all dietary approach, growing bodies of science suggest that it behooves us all to know more about added sugar, complex v. processed carbohydrates, the importance of healthy fats and concerns over food additives and artificial ingredients. It’s important to remind ourselves that things are not always as they seem. Whether you’re already informed or open to learn more, include your kids in discussions about making choices that are right for them and your family. It’s never too early, or too late, to learn and make positive changes! Whether we evacuated or stayed at home, chances are most of us broke from our usual routine as we anxiously tracked Florence’s path. Eating healthy can be especially difficult when you’re on the road (or looking at your canned food stocks!). To help get your family back on a wellness track, try one (or both) of these pesto recipes with extra veggies. Toss with pasta and add a protein and/or additional vegetables such as grape tomatoes, zucchini, summer squash, and bell peppers. You can also mix pesto with eggs at breakfast, or use as a fun, nutritious dip. Remember, eating your vegetables is not only an important part of a healthy diet, it is an item on this quarter’s Wow Us With Wellness Challenge too! Merriam-Webster’s first entry in the definition of habit is, “a settled tendency or usual manner of behavior – her habit of taking a morning walk”. *We have no affiliation to this company, nor do we specifically endorse them. Recess isn’t just play time – it’s a critical part of the school day. Recess fosters social and emotional development as students practice life skills such as communication and cooperation on the playground. In addition, it reduces disruptive behavior in the classroom, improves memory, attention, and concentration leading to improved academic achievement, AND helps students achieve the recommended 60 minutes of physical activity a day. Many thanks to Jill Shively, our PTA President, and the Daniel Island Community Fund for making our new 3rd/4th grade playground structure a reality. PTA also provides recess carts and sheds filled with balls and other equipment to encourage kids to move. Active students are better learners! What is Wellness Wednesday? Each Wednesday, the Wellness Committee posts a tip on the DIS PTA Facebook page geared toward parents and families. We also provide Mrs. Brown with a related tip for the students’ morning announcements. For reference we list these tips, or information on the topic, covered at http://www.dispta.org/wellness-wednesday/ . Often these correspond to current activities & events, and things we’ve included in our Wow Us with Wellness challenge, which you can read about here: http://www.dispta.org/wow/ ! 1 out of every 3 bites of food we eat is on our plate thanks to bees and other pollinators such as butterflies, birds, even bats! Foods such as almonds, avocados, coconut, coffee, sesame, strawberries, tomatoes and SO many more of the diverse, nutritious foods we should strive to include in our diets rely on pollinators. And it’s not just fertilizing the food we eat, pollinators also support healthy, biodiverse ecosystems that clean the air, stabilize soil, and support other wildlife. Read here for more about pollinators and how we can help them thrive in our own backyards. April is National Stress Awareness Month! How appropriate with Tax Day looming, end of the year testing for our students around the corner, and of course the usual daily stressors. This article highlights 5 simple tips to manage stress and unhealthy habits that accompany it – Stay Positive, Meditate, Exercise, Unplug, and Find a Way to Take a Break. Read more. Spring Is here and so are spring sports. What does a good warm up look like? One of our great, local wellness resources explains here. Whether our children are on an organized team or just playing outside, as the weather warms up, we want to be able to recognize and prevent heat related illness. Compared to adults, children have less sweat glands and produce more metabolic heat for their size during physical activity, making them more susceptible to heat illness. Heat illness is a continuum from mild disease (heat rash, heat cramps) to the more serious heat exhaustion, and lastly, life-threatening heat stroke. To prevent even the most mild heat related illness, teach your children to drink plenty of water, wear loose fitting, light colored clothing, avoid heavy outdoor activity during the hottest hours of the day, and move to a cool place and rest as soon as they feel overheated. With an ounce of prevention and raised awareness, we can enjoy all our favorite outdoor activities even during the LowCountry summer! Spring sports season is underway, and we want to highlight ways to keep our kids safe and injury-free on the fields and courts. Professional sports have brought increased awareness to concussion risk in recent years, but it continues to be a common and under-detected youth sports injury. Protect your child’s brain! Learn the signs and symptoms of concussions and when to seek medical attention. If your child sustains a concussion, it is crucial that they rest until they have made complete recovery. The Heads Up Campaign from the CDC is a great resource for parents, coaches, and schools. Check it out here. Monday March 5th – It is shocking how many kids don’t do this when chasing after a ball, or running across the street – tell your kids to look LEFT, RIGHT, and LEFT again when crossing the street. Teach them to never dart out into the street or cross between parked cars. Tuesday March 6th – Cross streets at corners, using traffic signals and crosswalks. Most injuries happen mid-block or someplace other than intersections. 80% of observed middle and high school students around the country did not follow this rule in school zones. Please remind your walkers and bikers! TOMORROW! South Carolina Walk To School Day! Take the time to refresh your kids’ memories of these important pedestrian safety precautions. 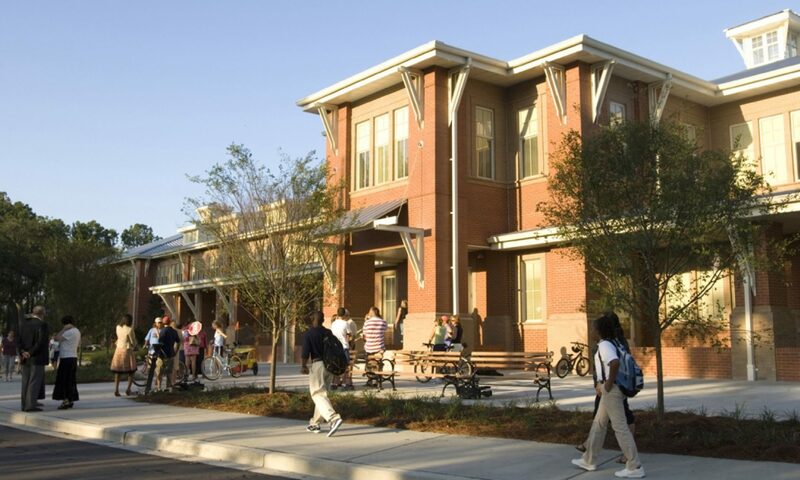 Wellness Wednesday March 7th – Today is South Carolina Walk to School Day! Remind kids to make eye contact with drivers before crossing in front of them, and to watch out for cars that are turning or backing up. This is also important at our trail crossings on the island! Thursday March 8th – If your children need to use a cell phone, make sure they stop walking and find a safe area to talk. When using headphones, kids should be sure to look up and pay extra attention and remove the headphones when crossing the street. Friday March 9th – To end the week of safety tips, here are the top 7 ways kids are getting hit by cars while walking, and how to prevent it from happening to your child. Feel free to share with your older children, and all the drivers in your household! In addition to Heart Health Month, February is also Bake for Family fun month. What if you could make some heart healthy tweeks to your family’s favorite baking recipes? Swap some of the all purpose flour for oat flour to increase your baked goods’ fiber and decrease your family’s risk for heart disease. Substitute unsweetened applesauce for butter to decrease the saturated fat. And try fruit juice, honey, maple syrup, or dates instead of white sugar (what you choose will depend on the type of recipe). Baking is a fun family activity that’s full of tradition and love; simple changes for a healthier treat are a bonus for all! Try these family tested Peanut Butter Cookie Dough Balls or Chickpea Blondies. Jump Rope for Heart may be over, but it’s still Heart Health Month! Most of us know that besides regular physical activity, a healthy diet is another way we can lower our risk for heart disease. Colorful fruits and vegetables have many heart protective benefits. Red, yellow, and orange fruits and veggies are packed with fiber, carotenoids (prevent inflammation and arteriosclerosis) and vitamins to help your heart. Dark leafy greens are also chock full of vitamins, fiber (lowers cholesterol!) and act as antioxidants in the body. Here’s a heart healthy salad to get you started. Happy Heart Day, DIS! Celebrate Valentine’s Day by enjoying some active time with your loved ones. The AHA recommends at least 60 minutes of moderate to vigorous intensity aerobic activity for kids per day. Read more about the benefits of physical activity here. The heart weighs between 7 and 15 ounces which is about the same as two baseballs! Pick up two baseballs and you’ll be able to feel how much your heart actually weighs. Now this is quite unbelievable. The average adult heart beats about 72 times a minute, 100,000 times a day and 3,600 times a year. During a person’s life their heart could beat more than 3.5 billion, yes 3.5 billion, times!! This is very interesting. When your body is at rest it takes 6 seconds for the blood to go from your heart to your lungs and back again, 8 seconds for it to go to your brain and back and 16 seconds for it to go all the way down to your toes and back. Imagine this. Your heart creates enough energy every single day to drive a truck for 20 miles. So if you’re 10 years old, you would have been able to drive a truck for 73,000 miles. Who knows where you’d be now, but you’d have been able to go to the moon and back. Did you know that when you listen to music your heartbeat changes and it takes on the same beat as what you’re listening to? So when you’re listening to super-fast music your heart beats faster and slower when you’re listening to calming music. Amazing huh?! It’s easy to overdo it during the holiday season! There’s nothing wrong with enjoying yourself, just make good choices as often as possible. Have some of those special holiday cookies but don’t skip the vegetables; there’s always more to do but try to prioritize sleep; drink lots of water and take a few moments to breathe and reflect on all the good things in your life! Read more tips here. anything that inspires your kids to get moving and learning! Creating the ideal sleep environment – cool, dark, and quiet. A nightlight for younger children is fine, but avoid sources of blue light (most electronics, even a digital alarm clock!). If complete quiet is TOO quiet (or unattainable) try hush noise such as a fan or white noise machine. Maintaining a bedtime routine and go to sleep at about the same time every night. Making the bedroom a tech free zone – either physically remove all TV’s, phones, computers, etc., or power them down an hour before bedtime. For more tips and a tool to calculate just how much sleep our students need, check out this sleep bedtime calculator. And if your family is already a champion of sleep hygiene, take credit on the 2nd Quarter Wow Us With Wellness Challenge! For more information and additional challenge sheets, visit the Wow Us With Wellness page. There are so many reasons to exercise this Thursday, not the least of which is the 2 days worth of food most of us will be consuming in our Thanksgiving day feast! While one work-out won’t make or break our fitness goals, it will provide stress relief, an opportunity for active family time, and keep us on track for making healthier choices throughout the holiday season. As you give thanks for the good things in your life, don’t forget to include your health, your strength and your ability to make small changes that lead to meaningful results. To find events wherever you may be traveling, check Running in the USA’s awesomely searchable race calendar. If going to an event or class doesn’t fit your plans, go for a run/walk/bike with your family, jump in a leaf pile, play a friendly game of football or soccer. Or, if you need some inspiration for indoor activities consider these fun indoor ball games that the author claims WILL NOT ruin your house (but we’ll leave it up to you to check them out…). Whatever you do, just move your feet before (and after) you eat! This week is National Hunger and Homelessness Awareness Week. 13.2% of South Carolinians lived with food insecurity from 2013-2015. 27% of children in South Carolina struggle with hunger. These children are at higher risk for health and developmental problems including cognitive delays, tooth decay, iron deficiency anemia, asthma, and depression. In the week before Thanksgiving, as we are practicing gratitude, it is the perfect time to show compassion to our neighbors experiencing hunger. There are many ways to give, including two opportunities at DIS this week. The Annual Holiday Food Drive is collecting donations for East Cooper Community Outreach. Additionally, the 3rd-5th grade Community Crusaders club is collecting frozen turkeys in the morning carpool line. Please consider donating to the needy in our community. Spicy food lovers rejoice; November isn’t just about the turkey. November is National Pepper Month, and today, November 8th, is also “Cook Something Bold and Pungent” Day. There are many benefits to cooking with peppers and other spices. Hot peppers are rich in capsaicin, which can improve immunity and contribute to cardiovascular health. Curcumin, found in turmeric, may help lower cholesterol and is strongly anti-inflammatory. Studies have shown ginger to have the same benefits, plus, it can improve digestion and may help with brain function. Additionally, adding a little spice in the kitchen may make vegetables more palatable to kids (and adults). With so many benefits, reach into your spice cabinet and cook something bold tonight! Use the recipes below if you need some inspiration. There’ll be plenty of time for turkey and stuffing later. Offering non-food treats on Halloween not only supports the Teal Pumpkin Project, ensuring a safe and fun Halloween for all kids, but is also one of the options in this quarter’s Wellness Challenge! There’s still time to order something fun like these glow in the dark eyeballs, or visit the dollar bins or party section at your favorite store. Be sure to add your address to the interactive TPP map . October is Eat Better, Eat Together Month. The Family Dinner Project cites studies that have shown that regular family meals correlate with: “lower rates of substance abuse, teen pregnancy and depression, as well as higher grade-point averages and self-esteem. Studies also indicate that dinner conversation is a more potent vocabulary-booster than reading, and the stories told around the kitchen table help our children build resilience. The icing on the cake is that regular family meals also lower the rates of obesity and eating disorders in children and adolescents.” We know it can be challenging to make time for meals — for more information and realistic suggestions on how to make family meals possible, take a look at their FAQs. This is the last week of our first quarter Wow us with Wellness challenge! Be sure to return your signed and completed challenge sheets to your homeroom teacher by Friday! It’s going to be a beautiful day tomorrow for Walk to School Day! Skip the car line or traffic and walk at least part way to school! Mixed greens with strawberries, grape tomatoes, baby carrots, and a drizzle of vinaigrette. Think your child would eat it? You’ll find out tomorrow, when our Child Nutrition Manager, Ms. Jojo, hosts her first Taste Test of the year! Participation is voluntary. Remind your child to eat colorful fruits and veggies! How many colors can your kids find in their fruits and vegetables? Don’t forget to “Wow Us With Wellness!” Look for the challenge checklist in your child’s Wednesday folder if you haven’t already! And here’s another take on why to “eat the rainbow”. 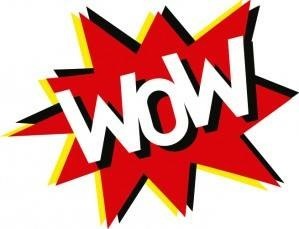 Get ready to “WOW” us! Be sure to check Wednesday folders and the school newsletter for more details! – One study showed that only 31% of men and 65% of women washed their hands after using a public restroom. – Another study regarding the “germiest” places in schools found that there were more germs on an average classroom water fountain spigot than on a toilet seat! Who needs some lunch inspiration? Check out these chef tips for healthy school lunches kids will love! Taking breakfast back to school? What an eggcellent idea! Plan your favorites or find some new inspiration with recipes like these.